A little while ago I took issue with the ‘Never’ list that features so prominently in Amy Chua’s Battle Hymn of the Tiger Mother and as much as I hate to admit it, I was inspired. Not to suddently force my son to stand out in the winer cold (I suppose summer heat would have much the same impact with the added benefit of not having to wait until December to discipline my child) until his will is crushed, but rather to define my own views on parenting. 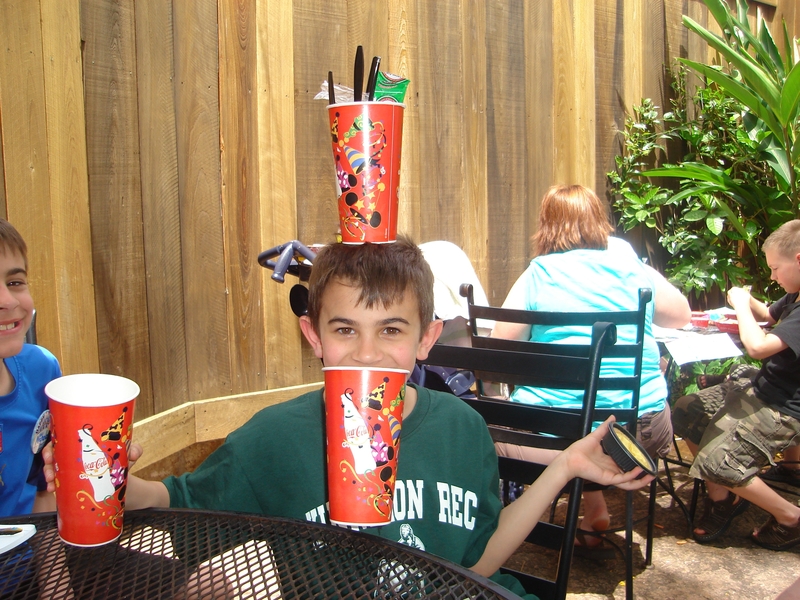 Unlike Chua, I do not blame my parenting on my ethnicity, although other Italian Americans may find something familiar in my list. What makes your ‘Always’ List? Call children “garbage” when they don’t live up to your standards. Leave them to stand outside in the middle of a New England winter without a coat until they bend to your will. Of course, in extreme situations when they are frustrated after a week’s hard work on a piano piece they still cannot master, continue practice through dinner without stopping and do not let them up for any reason, not for water, not to go to the bathroom (admittedly the former does makes the latter more bearable). All the while, continue screaming at the top of your lungs until you lose your voice. That’s good parenting, according to Amy Chua. And my kids think I’m strict. This is a brave account. Chua details events that would make the NJ Department of Youth and Family Services actually show up for a scheduled appointment. I am convinced that Chua genuinely believes that she has always acted in her daughters’ best interest, although she does acknowledge that her opinion has changed somewhat and maybe it has, but this book certainly doesn’t support that. Granted, that is probably more a factor of her being a poor writer than an unchanged parent. 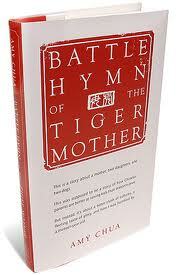 Battle Hymn of the Tiger Mother has been marketed and attacked as an apology for and celebration of Chinese parenting. However, it is primarily an un-engaging memoir of Chua’s struggle to reconcile her Chinese culture with the dominant American culture, of which she is also a part. This is something to which I could relate if it weren’t for a number of other idiosyncrasies that get in the way: namely her need to continually remind the reader of her success and importance, her shaky ability to convey humor and what seems to be a general misunderstanding of how to construct a memoir. According to publishing wisdom in order to be published an author needs a platform. In short, something that makes someone an expert. Something that a person knows better than anyone else. This could be something monumental, think Stephen Jay Gould on evolutionary biology or Dr. Oz on heart disease; or completely insignificant, I can think of no other reason someone would actually try to read a novel by Snooki. How much value does being a self-proclaimed guidette add to society? Amy Chua is the successful child of Chinese immigrants. That’s enough for me. I don’t need the constant reminder of her Ivy League education or the classes she teaches at Yale. I can remember where someone works and where she was educated without being reminded every five pages. 1. Without question, do everything your parents force you to. 2. Have no life outside what your parents demand of you. 3. Be better than everyone else (particularly the progeny of Western parents). I wasn’t sure how to take this. It sounded vaguely like someone who has no inherent sense of humor trying to be funny. If this were the case it would also explain Chua’s comment that playing drums leads to drug use. I found an interview of Chua by Alison Stewart of Need to Know on PBS that confirmed my suspicions. Although she used terms like “comedic” and “tongue in cheek” it amounts to the same thing: comments that are too ridiculous to be taken seriously and not over-the-top enough to be funny. Generally in memoir a reader can expect the protagonist to develop over the course of the work. I don’t see it in Tiger Mother. Chua starts out as the domineering mother of two exceptionally talented musicians and by the end she is the domineering mother of one exceptionally obedient and talented musician and one strong-willed, up-and-coming tennis player. This is obviously an earth-shattering transformation in Chua’s eyes, but not so much to mine. And that’s the main problem: audience. As a Western parent (albeit a daughter of determined immigrants) I can’t relate to Chua the way she needs me to in order to engage my attention and sympathies for this disjointed narrative. My article, “Hard-Earned Hope”, about parenting children with brain issues appeared in the April 23rd issue of Curator Magazine. Enjoy!